The upward tendency of the Riviera Nayarit’s positioning on an international level was in evidence during the 36th edition of Fitur, and consumers and businesses were quick to take notice. The Promotions department of the Riviera Nayarit Convention and Visitors Bureau was present at the 2016 International Tourism Fair (Fitur, by its acronym in Spanish) as part of the Nayarit state committee headed by Governor Roberto Sandoval Castañeda. “We’re here to support our hoteliers so they can continue to generate employment, spur development and boost the consumption of agricultural products in Nayarit,” declared Roberto Sandoval, who was accompanied by Oscar Camarena, the new Secretary of Tourism. 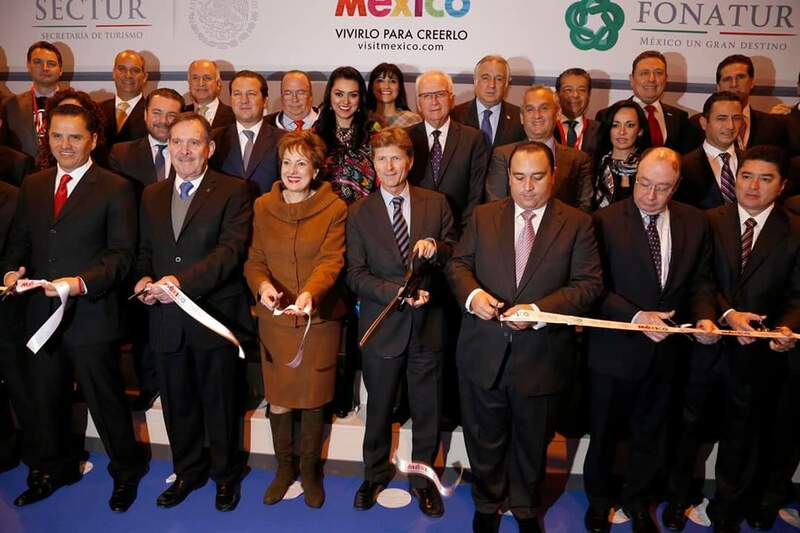 There were 110 exhibitors in the Mexico Pavilion; the Riviera Nayarit stood out as the country’s trendiest destination. The upward tendency of the Riviera Nayarit’s positioning on an international level was very much in evidence during this 36th edition of Fitur, and consumers and businesses were quick to take notice. The Riviera Nayarit CVB held business meetings with nine of the top wholesalers in Spain. As happens every year, Artisan Cilau Valadez, Cultural Ambassador of the Riviera Nayarit, was at the exhibit booth showing attendees the ancient Huichol art of bead and yarn work. During this fair over three-dozen tourism destinations were promoted to more than 9,400 tourism industry businesses originating from 165 countries and regions, making it one of the most important in the world. The final consumer was also able to choose where to go for their next vacation.